Throughout the year SYPC have a schedule of 6 bi-monthly member competitions. Steve Hallam – was our Round 4 external judge for the 4th. of our 6 Bi-Monthly 2018 Competitions. Although Steve was new to SYPC, he very quickly relaxed into the task at hand offering constructive comments as well as suggestions for improvement. Steve was extremely well prepared and had clearly put a lot of thought into what he wanted to say about each print and image. 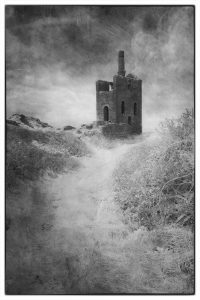 The result was an excellent and constructive narrative describing each image and always offering constructive feedback for improvement. Steve critiqued and commented on 84 images (26 prints and 58 digital images). 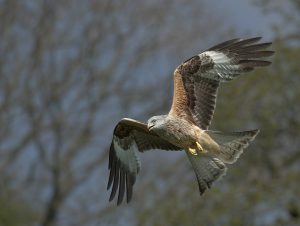 Red Kite on Edge of woods Phil Arnold 1st. Apple Blossom Terry Cooper 2nd. Twilight Years Pete Atkins 3rd. Tawny Owl John Scantebury 4th. Sailing By Jenni Craft 5th. Selfie in the Bluebells Stuart Lewis 6th. Castle Park at Dusk Alan Grynyer 7th. Levant Tin Mine Ray Grace 1st. Bridge over the River Wye Mark Seaman 2nd. Rainbow over Icelandic Church Carole Brown 3rd. Monet’s Bradford Dave Bruten 4th. Running to the Waves Lynne Smithson 5th. The Chase Peter Range 6th. Bradford on Avon Church Reflection Eileen Scantlebury 7th. The Twilight Hour Mary Williams 8th. Previous Previous post: 2018 – Round 3 Bi-Monthly Results June 4th 2018.